Northwest National Real Estate: Price Reduction! 3 Bedroom Condo For Sale! Price Reduction! 3 Bedroom Condo For Sale! 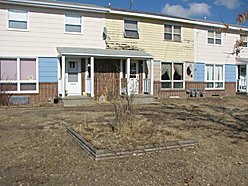 St. Marie, Montana condo with 3 bedrooms, 1 bath, an oversized single car garage, full basement and a fenced backyard. Some furniture is included in the sale such as the washer and dryer, freezer, etc. This condo is not in the Condo Association, so there are no monthly fees, except for $7.50 per month that takes care of street lighting and snow plowing. For more information call Earl Handy at 406-228-2114 or 760-954-3301. Only $19,500.